Stever Robbins, Harvard MBA and NLP Master Trainer Elite has worked with top business leaders for years. He has modeled their attitudes, behaviors, and beliefs in this collection of essays on organizational leadership. 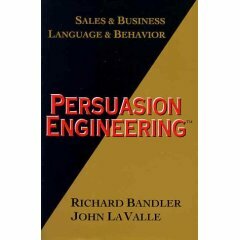 Note that this is not a book of NLP techniques. Rather, it is an everyday language presentation of leadership as seen through a lense of NLP.